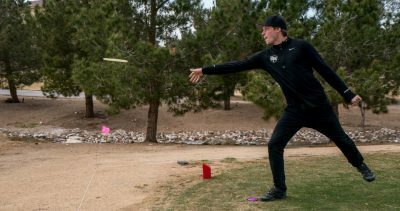 State of Disc Golf–Who are our Favorite Disc Golfers and Why? The Las Vegas Challenge, Memorial Championship, and Waco Charity Open are in the books, and the Jonesboro Open is this weekend. The 2018 professional disc golf season is upon us! And I for one am excited to see what this season will hold! For this week’s State of Disc Golf article, we are going to take a look at who our favorite disc golfers are and why. First of all, how many of us even pay attention to the professional game and the pros who play it? We asked survey takers if they follow professional disc golfers. 77.4% of us answered that question affirmatively, meaning just over ¾ of us follow professional disc golfers. While this shows that the professional game has a strong following, some could argue that this number is a bit low. 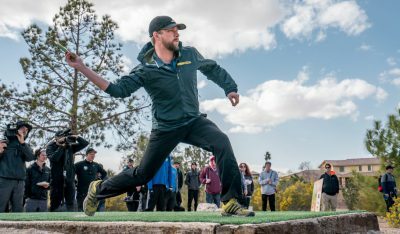 It just goes to show that there is still a significant faction within the disc golf scene that is only concerned about their own casual and competitive disc golf play. Any surprises? Arguably, the two biggest names in disc golf are the top two rated players in the world who have combined to hold the title of PDGA World Champion for the last 6 years, Paul McBeth and Ricky Wysocki. I figured they were a lock for the top two spots on this list, so I was a bit surprised to see that Nate Sexton came in higher on the list than Ricky. I guess that goes to show that more than PDGA ratings and world titles go into us selecting our favorite disc golfers, which we will be discussing shortly. Another surprise is how much of a drop off there is after the top 5. 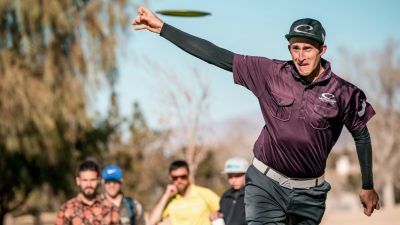 Our consensus sixth favorite disc golfer Gregg Barsby got nearly half as many favorite votes as Paige Pierce at number five. I would also say I am a bit surprised to see Eagle McMahon outside of the top 5, but at the same time when I look at the names in that top 5 and what they have done on and off the course (ie social media and promotional work) it is hard to pick any of the five who haven’t earned our collective favoritism. There is nothing too surprising to me about these numbers. At first glance I was a bit surprised how many people chose abilities as I figured attitude and personality would be the top reasons. But as I thought about it, I realized that their disc golf abilities is probably what most of us know best about each of these players. I have been fortunate enough to rub shoulders a bit with these players, but most fans are not able to meet the top pros and see them play in person (hence the 37.78% for personal interaction). I also figured the brand representation would be the last reason, but I am a bit surprised that it is as high as it is. Nearly a quarter of us chose this reason. I have two takeaways here. First, disc golf manufacturers are doing a great job of marketing their players and the same can be said of the inverse—these players are doing a great job representing their brands. I think a prime example of this is Nate Sexton finishing above Ricky Wysocki as our favorites. Especially in 2017, the Nate Sexton Glow Firebirds were HOTTTT. Innova and Sexton together created a demand for a disc which has helped to increase the popularity and income of both parties. My second takeaway goes right back to what I said about the disc golfers’ abilities—it is what most fans know about these players. Let’s say a more casual fan of the sport turns on coverage of a tournament. They are likely watching a lead card or feature card, so they already know something about the pros they are about to watch—they are good at disc golf (abilities). And then the very first thing they will hear at the start of the round is the brand a pro represents AND THEN his or her name, “Representing Innova Champion Discs…Representing Dynamic Discs…” And then after all that, depending on the coverage, they get a chance to get a glimpse of the players’ attitude and personalities. It is worth noting—in my opinion—that this is a quirk that is very unique to disc golf. Of course, there is brand representation and endorsements in all professional sports, but does that really impact our favorite players? As a kid who grew up getting to watch the greatest basketball player of all time, LeBron James (yeah, I said it), did I like him more because Nike was his shoe sponsor? Nope, but the inverse may be true—because LeBron James was endorsed by Nike, I might have been more inclined to buy their shoes. In fact, do you know any fans of any other sport, team or individual, who would consider themselves brand loyal? Do ball golfers watch hoping the Callaway guys will outperform the Cobra guys because they prefer their clubs? I consider myself a pretty avid fan of all sports, and I can’t say I have ever interacted with fans who put so much stock in what brand of equipment their favorite players use. At the end of the day though, we as disc golfers and disc golf fans are lucky to have such great competitors to look up to. I mentioned that personal interaction is something most fans don’t get to experience. 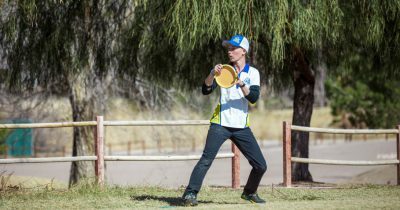 If you ever have the chance to see some of these top disc golfers play in person—DO IT! The videos don’t do it justice. And if you get the chance to have some personal interaction with them, you will learn what I have learned—they are some of the coolest and realest guys and gals out there, which I think is another unique and special thing about disc golf. The pros are just real folks trying to make a living doing what they love to do. The first touring pro I ever met was Gregg Barsby. He was in Salt Lake City for a small event the local club was running. Like anyone who has met Gregg would tell you, he is one of the nicest guys I’ve met. After the event, I went up to him and asked a few questions. He was so positive and very encouraging to a young and aspiring disc golfer. That interaction made me want to just get out there and play and work to get better and better every day. Having met all the pros on this top 10 list at least briefly, I would not be shocked to hear that each of them have had dozens of interactions with young and new disc golfers that encouraged them the way that my brief conversation with Gregg encouraged me. So whatever our reasons, we have favorite disc golfers, and none of them are a bad choice! Let’s keep supporting the professional game where we can, and as always, grow the sport! People buy Nikes because of the greatest BB player Michael Jordan. Yeh I said it. People probably don’t buy Callaway clubs because of Alice Cooper but some may. I think the age group of spectators that favor a specific folfer might be insightful. 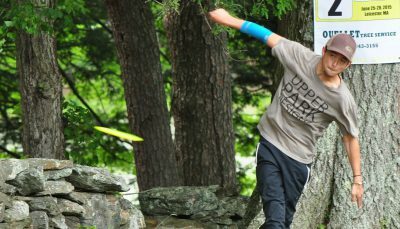 What is the mean age group of spectators that favor McBeth compared to Wysocki? Might be interesting.